Choosing a South America tour for your next holiday is like to walking into a dream state. The southern continent is a veritable kaleidoscope of colourful landscapes containing some of the world’s most treasured natural wonders such as the cloud-covered Andes mountains, the mystical Amazon river and rainforest, and the vast Patagonia plains. Add to that the unique charm, history and culture of each of the incredible South America destinations and tours to Argentina, Chile, Brazil, Bolivia, Ecuador & Peru all vie for your travel consideration. Perhaps the greatest thing about South America travel is that it has so much to offer in its diverse landscapes and cities. While each country has its own unique flair and rhythm, if you visit one you will want to visit them all. With so many enticing options for South America destinations, you can rest assured that there is no wrong choice. However, our Build it Yourself and Custom Travel Packages have been designed to ensure that your chosen South America tour matches harmoniously with your holiday preferences. Each of our packages allows some level of customisation to fit your interests and needs and make your holiday truly unique. 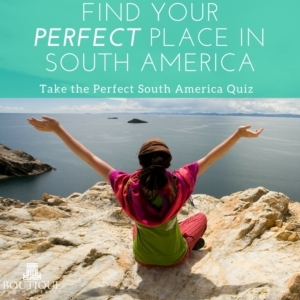 Learn more about each South American country’s or region’s unique experiences. Don’t see what you’re looking for, or interested in visiting multiple countries? We sell South America tours to most corners of the continent but don’t publish every single one so as not to overwhelm you. Enquire with us if you have something specific in mind.